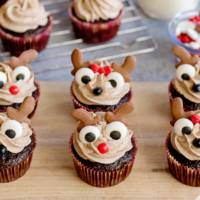 Reindeer Cupcakes with Cinnamon Cream Cheese Frosting are fun yet amazing delish cupcakes that will be a hit at any holiday gathering this year! 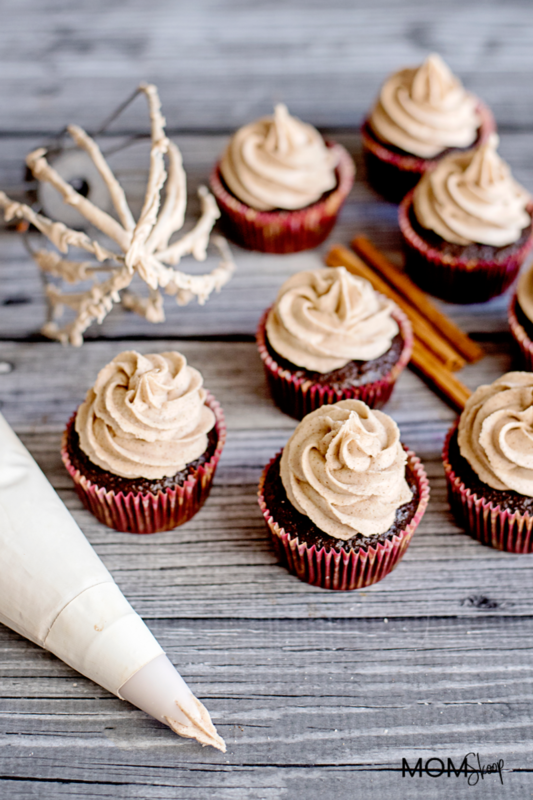 These cupcakes have the perfect combination of holiday flavors such as ginger, cinnamon, cloves, and vanilla. 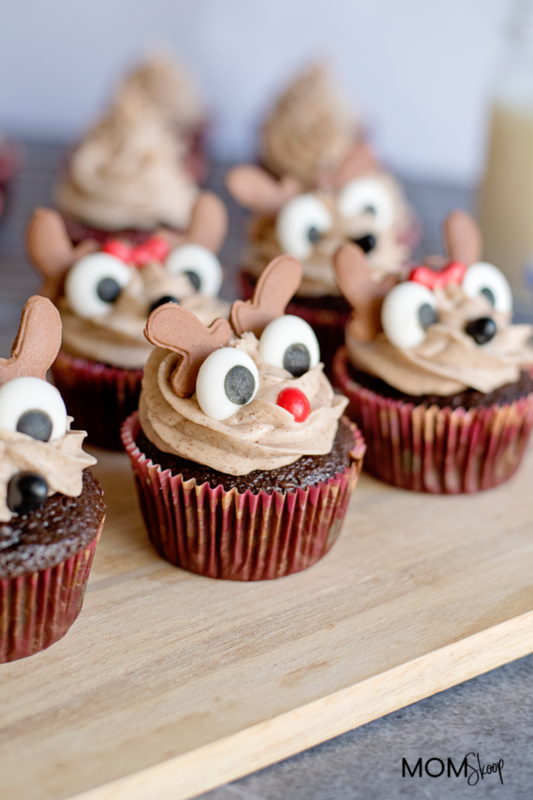 I love baking during the holidays so my goal is not just keep my baking focus on cookies. 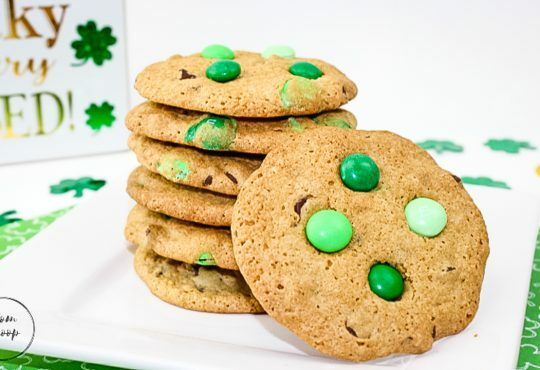 Don’t get me wrong, I love making cookies but I also like to add a fun variety to our baking schedule! 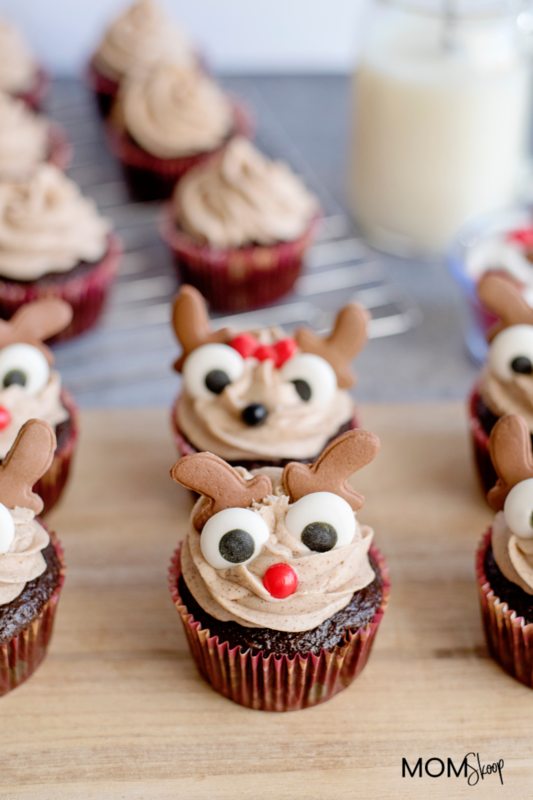 Plus these Reindeer Cupcakes will look absolutely adorable at your holiday get together! 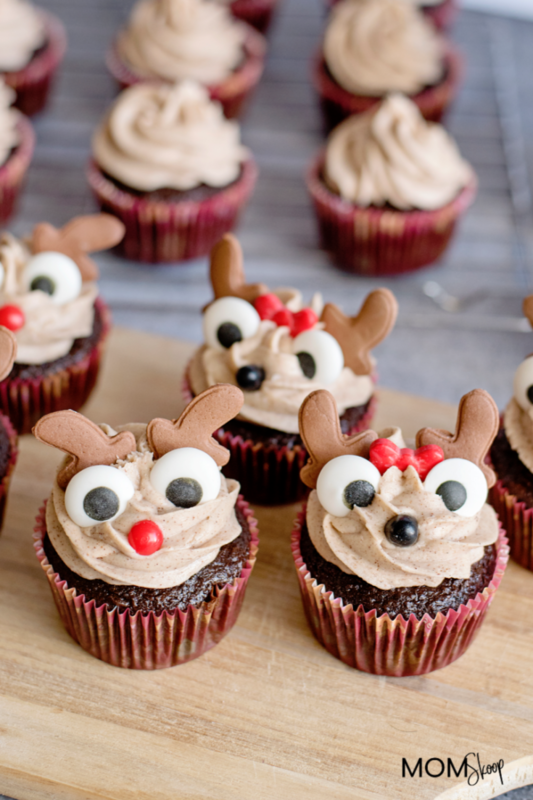 Looking for more Holiday Cupcake Recipes? 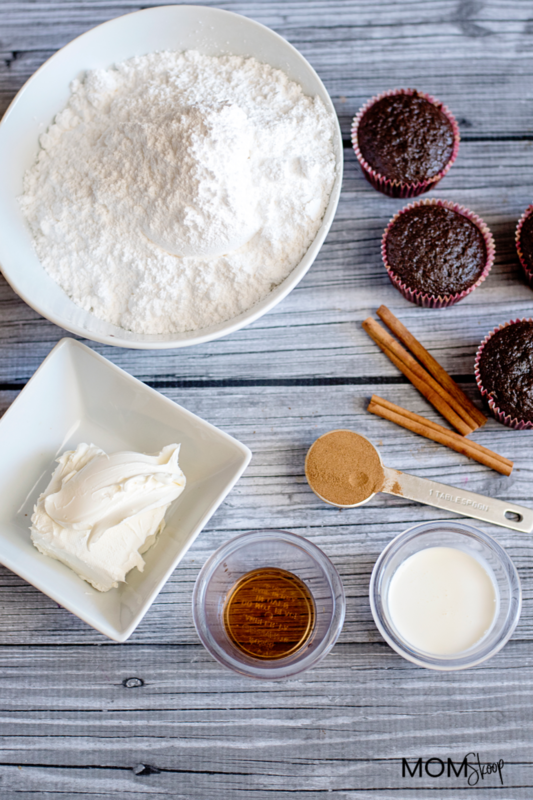 Once you bite into these yummy cupcakes you will think that it takes a lot of unique ingredients to make these from scratch. Thankfully that isn’t the case! 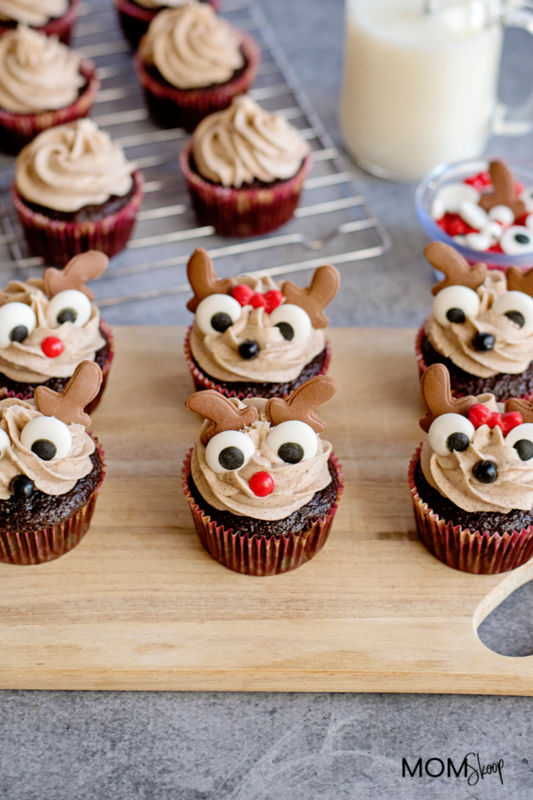 The ingredients for these Reindeer Cupcakes are probably are in your pantry! 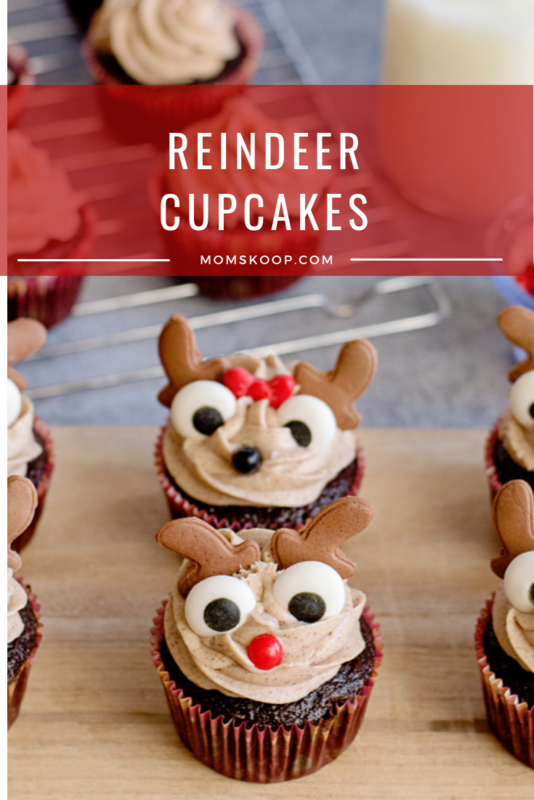 Another great thing about these Reindeer Cupcakes is that they are kid-friendly and would be a fun baking recipe to get the kids involved with! Prepare cupcake pan by lining it with cupcake wrappers or spraying with a non-stick spray. In a large bowl, prepare the cake mix according to the instructions on the box. Then, add in the molasses, ginger, cinnamon and cloves and stir until well combined. Scoop the cupcake batter into the liners, filling them about ½ way full. Bake for 18-20 minutes, until a toothpick inserted into the center comes out clean. In a large mixing bowl, combine the cream cheese, cinnamon and vanilla extract and mix until nice and creamy. Slowly, add in the powdered sugar a little bit at a time. Then, add the heavy cream a tablespoon at a time, mixing well between. Keep adding the heavy cream until the desired consistency has been reached, either for spreading or piping. 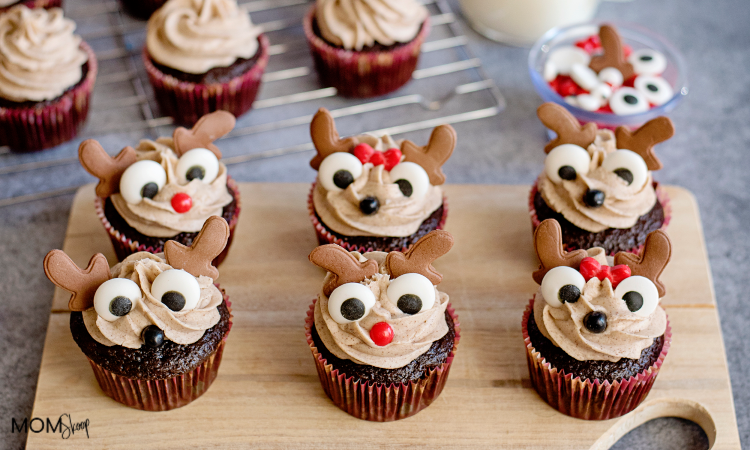 Once the cupcakes are decorated, add the Reindeer Treat cupcake decorations.